Can topical pain products relieve aching muscles? Greg Foot and Olympic medallist Kelly Sotherton try warming sprays and cooling gels, and test tape said to help you train longer. Do topical pain products really relieve aching muscles? Presenter Greg Foot is on a bunk busting mission to separate science fact from science fiction. He is joined by three-time Olympic medallist heptathlete Kelly Sotherton, along with consultant rheumatologist Dr Benjamin Ellis and Manchester United FC’s head of physical therapies Prof Michael Callaghan, to discuss the gels and sprays that promise to reach deep into painful joints. They find out whether any of these products can relieve aches after exercise and investigate the role of placebo in helping to reduce pain. Greg also gets his elbow strapped up with some brightly coloured elastic sports tape increasingly popular with amateurs, as well as professional sportspeople. It’s claimed the tape provides mechanical support for muscles and joints and improves circulation. But what does the evidence say? See all episodes from The Best Thing Since Sliced Bread? Catch up with the newest Radio 4 podcasts. Greg Foot and his guests look for the facts behind the fads. Winter bugs: what’s really the best way to keep them at bay? 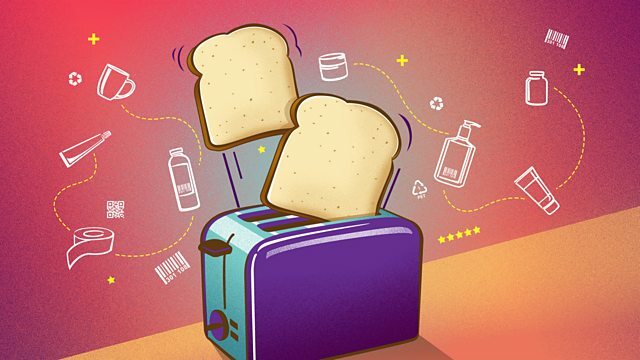 Greg Foot scrutinises the supposed benefits of hand sanitisers, vitamin C and zinc. Do skincare marketing claims stand up to scrutiny? Greg Foot and his guests puts some popular skincare products in the spotlight.